Joyce and Pam are the vocalists on the latest project by bassist Mitchel Coleman, Jr. Its a remake of "THATS THE WAY OF THE WORLD" by EARTH WIND AND FIRE. They are joined along with good friend Jim Gilstrap on vocals. The track is produced by Herman Hollywood Dawkins. Hollywood also plays keyboards and drums and Kayta Matsuna is on guitars. The DJ Dave W in the UK has already picked up on this (once again) mega hit and is one of the first to play it on the air. You can stream TME Recording's artists on popular sites such as Spotify, iHeartRadio and Pandora. Every song play benefits the artist with royalties. Support your favorite. Tony Marinacci - President and CEO of TME Recordings, talks about the reasons unsigned bands aren't getting noticed by labels on the Pennsylvania Rock Show by host Bill. Length: aprx 1hour and 5 minutes. February 7, 2014. If you would like to support Tony Marinacci in the fight against cancer you can do so by heading on over to iTunes and download his single "Like U!" for only $0.99! You can also purchase other singles as well as digital albums. CDs are available at the TME Webstore but are selling out quick! Tony Marinacci has created a lyric videos for "Like U!. It is also available on our YouTube, Facebook and Twitter page as well as all our other social media sites. We recently featured Pam Vincent and her contribution to some of the biggest Rock hits ever. As a member of Brandye Pam and the group performed Background Vocals on Bob Seger's mega-hit "Still The Same". They also performed on several of Blackfoot's biggest albums including the hits "Highway Song" and "Train, Train". These are just samples of her many highlights from over the years. Check back later for more great songs she's appeared on in the coming months. We have posted the remaining original tracks from the "Choose To Roll" CD from Herman "Hollywood" Dawkins and Pam Vincent. We have also posted "Best Be Movin' On" to go with the video on YouTube as well as the title track "Choose To Roll". The remaining tracks are; "Passport", "Longing For Your Love", "Pamela", "Jazz In Space", "You Are The One For Me" and "You Stole My Heart". The advance copy of the CD has been making its way around Europe to incredible response. Prior to the release of the new Former Ladies of Supremes - 'Supremely Yours II' project, we are going back on a legendary career. Joyce Vincent began her singing career as a teenager in Detroit as a member of the female vocal group called The Debonaires. By the late 1960's she would go on to sing behind so many of Motown Records hits that she would be among those who helped define its sound. She then went on to do session work that had her singing on some of the most memorable hit records ever made. She came back into the spotlight as a member of Tony Orlando and Dawn, one of the most famous acts of an entire decade with a string of chart-topping hits. We've included samples below of where it all started as well as a few of the many highlights from over the years. TME Recordings is now official members of 2 major industry organizations. We have joined many other labels in the RIAA: Recording Industry Association of America. They are the trade group that represents the U.S. recording industry. We have also become members of Nielsen SoundScan. They maintain the information system that tracks sales of music and music video products in US & Canada. Both of these are huge accomplishments for our little company. 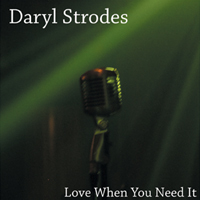 Dr. Mara Karpel interviews Daryl Strodes on her Your Golden Years Podcast on Talk Radio 1370AM in Austin, Texas. Length: 11:10. January 27, 2013. Tony Marinacci - President and CEO of TME Recordings, is interviewed about the many new developments at the company on the Pennsylvania Rock Show by host Bill. Length: aprx 50 minutes. April 4, 2012. 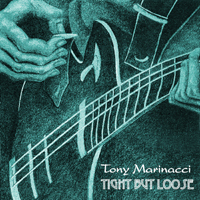 Series with Tony Marinacci on IronCityRocks.com. PLAY ALL, Preparing for the studio, Role of a Producer, Role of an Engineer, Recording Tips, Mixing Tips, Mastering, Live Sound, Copyrights, Publishing and Release. Length: aprx 15 minutes each topic. August to November, 2011. Rula Brown interviews Tony Smith as SOHS (State Of Hearts Sound) on reggae4us.com out of England. Length: 11:44. June 3, 2010. 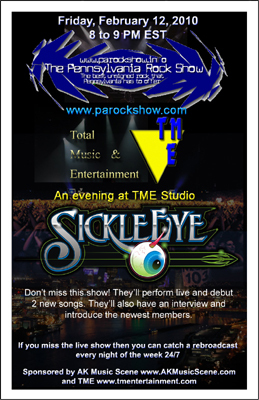 SickleEye live on the Pennsylvania Rock Show from Total Music & Entertainment Studio. Includes a 30 minute interview with Bill and live performances of So This Is Goodbye and Tremble. Length: 48:13. February 12, 2010. Tony Marinacci and Chris Bell host a show full of the best moments from various appearances on the Pennsylvania Rock Show that were sponsored by Total Music & Entertainment. Visit the TME Recordings Online Distribution Affiliates page to locate many other online retailers. A promo cut from a forthcoming project by keyboard player Herman 'Hollywood' Dawkins with Pam Vincent on vocals, written by Pam herself. 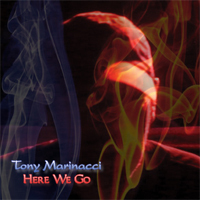 Download or purchase the CD Tony Marinacci - Here We Go. 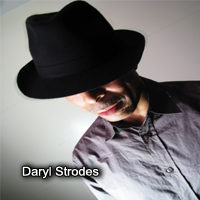 Download or purchase the CD Daryl Strodes - 2009 EP. 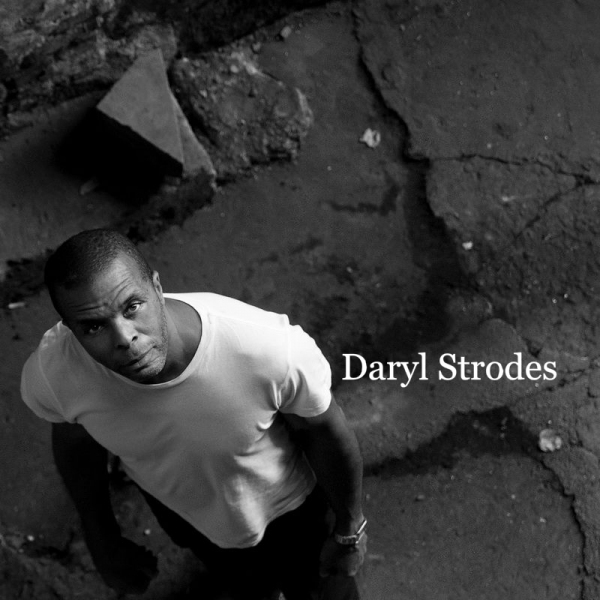 Download or purchase the CD Daryl Strodes - 2008 EP. Anyone who purchased a CD from us between 1998 and 2006 and has had their CD become corrupt - can send us the CD and get a replacement 100% FREE OF CHARGE. Before our deal with Disc Makers, we had used many different manufacturers, including doing it our selves in the very early years. We had also used many different media suppliers and unfortunately found out the hard way that not all CDs were created equal. You can email us at: tmerecordings@tmentertainment.com or go to the TME Contact Page for other information.